amazon | A. LOPEZ JR.
Exclusive…To Be or Not To Be? To be exclusive or not to be? That’s a question that has been floating around the self-publishing world for some time now. Many blogs and articles have been written on this front. It seems that every few months, either because of technology – or just because of the powers-that-be move forward with a new idea – things change and a new way of thinking must be incorporated into the self-publisher’s mind. The question for authors who do not have a traditional publishing deal, is deciding which way to go – exclusive or non-exclusive. 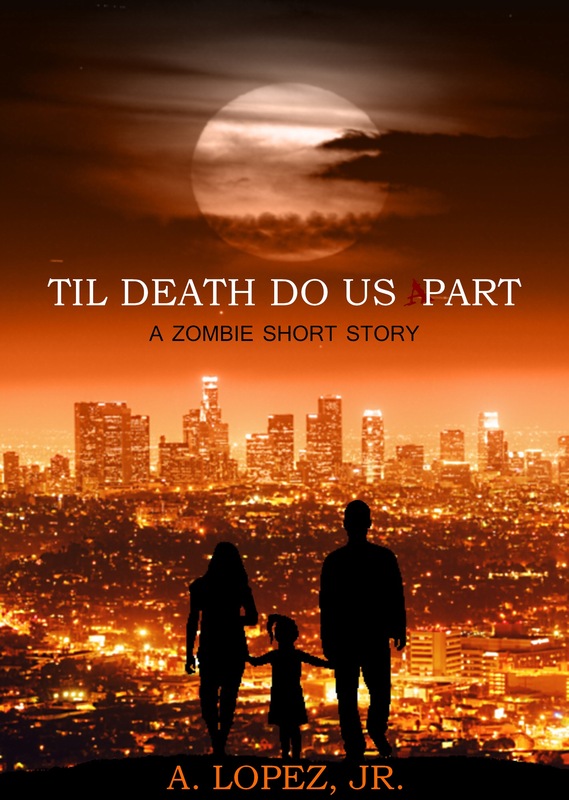 I’ve been writing for three years and self-published my first book in November of 2011. A year later, I put up my second piece of work. From late 2011 until now, 18 months have passed, and I have calculated my sales over that time. Although it is a short period of time, it is enough of a sample-size for me to conquer the question mentioned above, as it pertains to my sales. Amazon is king for just about every author’s sales, and for some, it grabs a much higher percentage than the other ebook stores, and sometimes more than the others combined. Amazon’s KDP Select is enticing to many because of the various perks that are included with it, along with five days where you can put your book up for free. 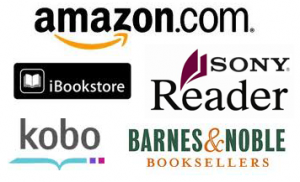 KDP Select is the big arm that Amazon has extended to authors. It’s hard to blame any author for giving it a spin in their strategy to generate more recognition and or sales for their book. Author, Joe Konrath has blogged about this many times. To each his own, and more power to you if you make it work for you. After all, we are all in it because we love to write. Getting your work recognized is what comes next. Over the past 18 months, Amazon leads my sales at 36%. Following them at second and third in my sales are Barnes and Noble with 25% and Apple with 22%. That adds up to 83% of my total sales. The Big 3 are holding their own in my sales. The last two rounding out my total sales are Sony with 10% and Kobo with 7%. While those numbers are a little lower, my foreign sales have come mainly through Kobo. (Apple comes in right behind them) Kobo’s reach outside the US is significant and getting stronger. Plus, they have just released their new HD reader, Aura. Only time will tell if that picks up their business, and if it affects their percentage within my sales. As a side-note, my last few sales have come from Kobo and Apple, and those particular sales have been outside of the US. At any rate, the numbers are the numbers and it bears out the fact that it’s a pretty even “selling field” for me. What does it all mean? My sales, in the overall scheme of things, really don’t mean anything to anyone but me. But, it did answer my question – to be exclusive or not to be? Answer: I’ll remain in a monogamous relationship with all of the ebook retailers . . . for now, anyway!